September 7, 2018 10:01 am. Leading jumps trainer Paul Nelson will have strong chances in each of the two feature jumps races at Te Aroha on Sunday, but he still holds some reservations ahead of the event. 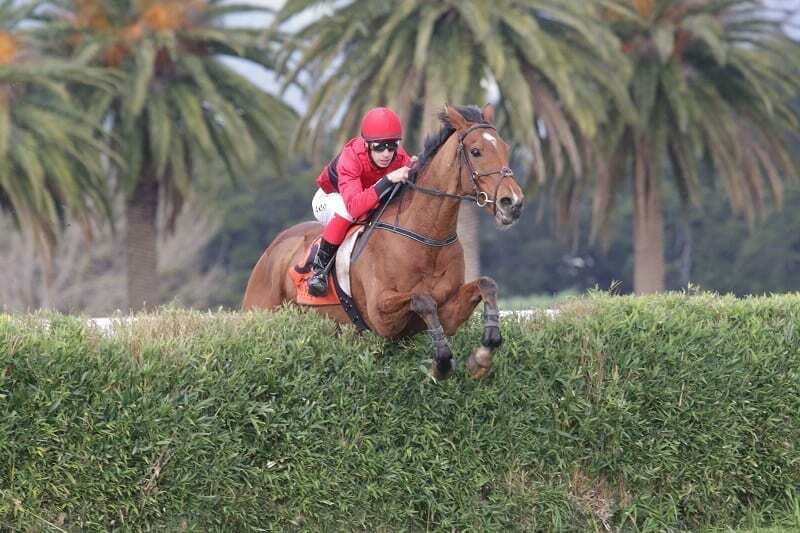 Nine-year-old Zed gelding Perry Mason has been in fine form for Nelson over Winter and will head into the Irvines Great Northern Steeplechase (6300m) as a $3.50 favourite with bookmakers. He has won four times over the fences this term, including a last-start victory in the Pakuranga Hunt Cup (4200m) at Te Aroha and Nelson is happy with his charge heading into Sunday. “I am very pleased with the way he has been going,” Nelson said. Despite his run of form, Nelson said Perry Mason is untested at the extreme distance, so he is going into Sunday’s race with reserved expectations. Meanwhile, earlier in the card Nelson will line-up Second Innings in the Schweppes Great Northern Hurdle (4200m). The Yamanin Vital ten-year-old has been a work in progress for Nelson, who has taken his time with the gelding after coming back from an injury-enforced layoff. That patience is starting to be rewarded, with Second Innings coming into form with a placing in last month’s Grand National Hurdles (4200m) at Riccarton. “In his earlier runs he probably hasn’t been fully fit,” Nelson said. “He virtually only had one race last winter and broke down. So he was out for a fairly long time and it has taken a while to get him fit. “He was well beaten last-start by the winner (Jackfrost in the Grand National Hurdles), but again it’s going to be a different track for him and we’ll see what happens.